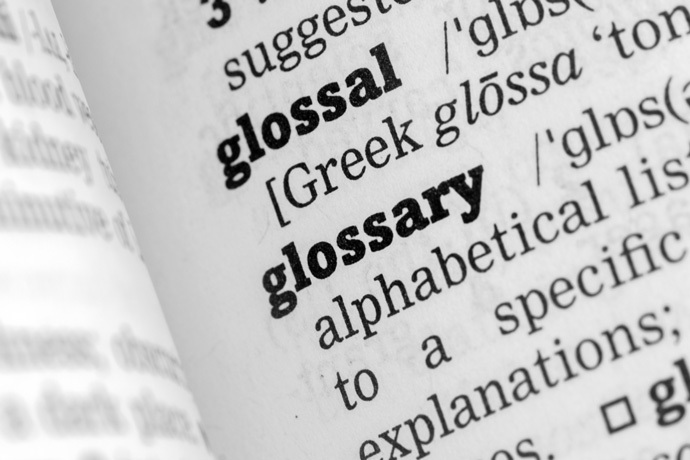 Below you’ll find a glossary of various swimming terms. If you need explanations for a new swimming term, please leave a comment below. I’ll then update the page to include it. balance (body position): in front crawl and backstroke, being balanced means being horizontal in the water. The feet don’t drop, and the head is in a neutral position, in line with the spine. dorsiflexion (foot): the position of the foot where it is flexed toward the front of the leg. high elbow position: in the front crawl stroke, at the beginning of the underwater pull, the upper arm and elbow should stay close to the water surface, while the forearm and hand are perpendicular to the water surface and facing backward. This high elbow position at the beginning of the pull is mandatory for an efficient arm stroke. plantar flexion (foot): the position of the foot where it is extended (foot pointed). pressing the buoy (or pressing the T): Your lungs form a natural buoy because they fill up with air. When you are floating in a prone position (for example in the front crawl stroke), if you apply downward pressure on your chest, your hips and legs will tend to rise as your body acts like a lever. This is called pressing the buoy. prone position (body): In swimming, this is a horizontal position in the water with the face down (floating on your stomach/chest, like in front crawl). supine position (body): In swimming, this is a horizontal position in the water with your face up (floating on your back, like in backstroke). What swimming stroke allows a swimmer to conserve energy? If you have good technique, I would say front crawl and backstroke.